Khalil Johnson, assistant professor of African American studies, is the recipient of a National Association of Education Spencer Postdoctoral Fellowship for the 2017-18 academic year. The National Academy of Education/Spencer Postdoctoral Fellowship Program supports up to 30 early career scholars working in critical areas of education research. These $70,000 fellowships support non-residential postdoctoral proposals that make significant scholarly contributions to the field of education. 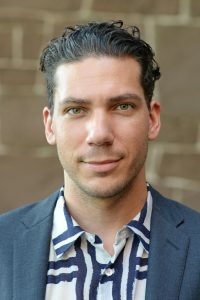 Johnson, who will be on scholarly leave for the 2017-2018 academic year, will work on a manuscript for his book project, which examines the intersections between education and settler-colonialism in the United States. He also plans to conduct interviews in Alaska Native villages and the Navajo and Tohono O’odham nations to document the historic relationships forged between Native students and African American educators who taught in Bureau of Indian Affairs schools between 1950 and 1980. “Although I will be living and writing in New Haven for the year, I hope to remain active in on campus events at Wesleyan,” he said. Johnson specializes in the intertwined histories of the African diaspora and Indigenous people in North America, with emphases on U.S. settler colonialism, education and counter-hegemonic social movements. His teaching areas include courses in the history of emancipatory education and U.S. empire, early African American history, American Indian history and popular music. Johnson has already received support from numerous institutions, including the Ford Foundation, the National Academy of Education/Spencer Foundation and a predoctoral teaching fellowship at Lewis and Clark College in Portland, Oregon. His essays and editorials have appeared in American Quarterly, Pacific Historical Review and The Navajo Times. In 2015, he received recognition from the Western History Association for the year’s best essay on Native American history.